Part art, part illusion, all eye-catching, conversation-starting fun. 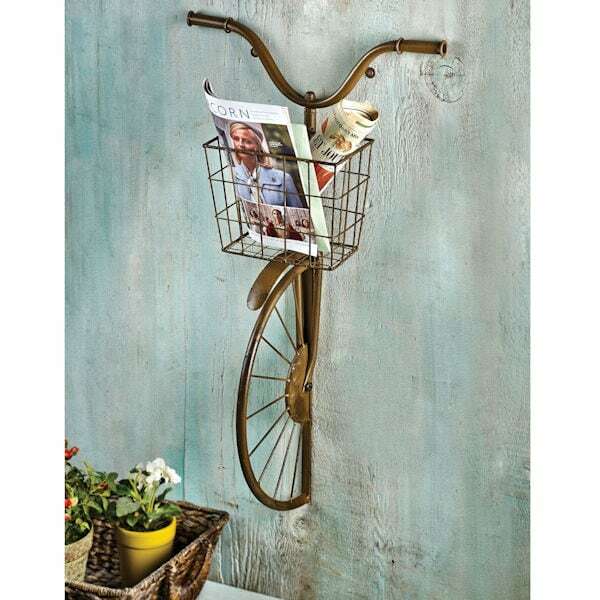 Just the front part of a bicycle - complete with handlebars, basket, half-wheel, fender, and spokes - looks like it's slowly coming through the wall. You might use it outdoors for plants, indoors for magazines, books, or catalogs. 17"w x 30"h x 8"d.